Ashton Kutcher as Steve Jobs? Really? 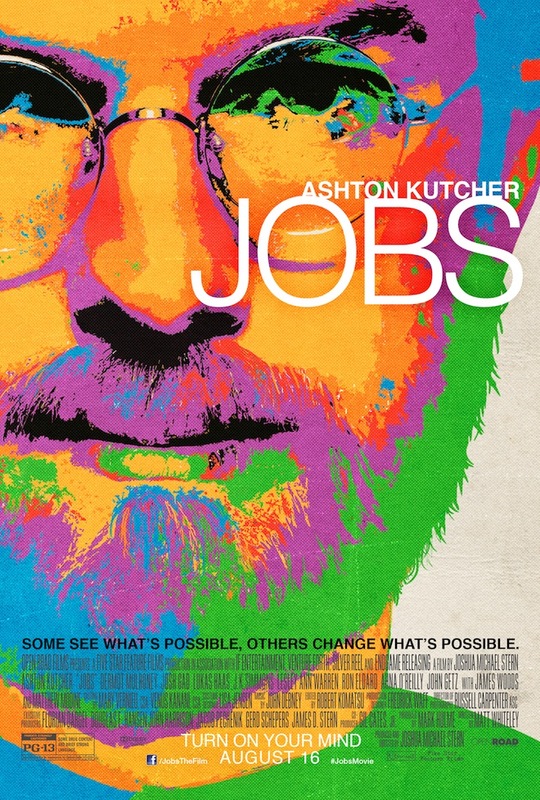 That was my first reaction when I first heard about “Jobs”, the latest biopic from director Joshua Michael Stern. But against all odds, Kutcher nails it. And his performance is the best, and possibly the main reason to see this uneven biopic. It isn’t bad (far from it actually), but I think a man like Steve Jobs deserves a better film. Oddly enough, the movie never mentions his death. Instead, it opens in 2001 with Jobs introducing the iPod and works back to how it all began. And the story works like a charm early on, mainly because the beginning is always the most captivating part. Watching the young genius at work with his pal Steve Wozniak (Josh Gad) and their team of “misfits” in his parent’s garage is a lot of fun. They create apple. Jobs loses his job (the irony), then wins it back. You probably know the story by now. But as soon as we reach the final act, the movie begins to run out of steam. Is it because we know most of the story already? Probably. But what keeps “Jobs” afloat is the mesmerizing work of its star. Kutcher goes beyond mimicry to fully inhabit his character. Director Joshua Stern steers him well, no doubt about that, but it’s a shame their film isn’t truly worthy of this memorable performance. Ashton kutcher doesnt fit in the movie at all. he is a constant reminder that its a movie. People could have related more if the main character was a new actor and resembled jobs. Ashton is too damn hot its distracting.. I mean the guy who sits on the couch on That 70’s Show and Two and A Half Mens turns out to be a genius..A movie like that required a more respected main actor kutcher is AWESOME but he should really stick to comedy.. great movie tho. As a man I can tell you that I wasn’t distracted :p But still I think he did a pretty good job. And he actually looks like the real jobs. You just have to forget that he was a doofus in that 70’s show. really? that was one movie i wasnt at all excited to see.. maybe it’s worth a shot!